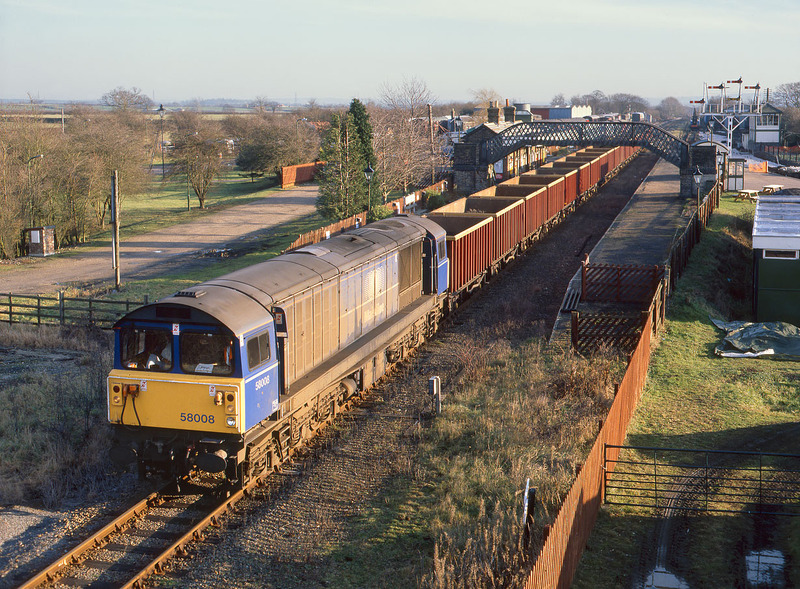 58008 passes through the Buckinghamshire Railway Centre's station at Quainton Road on 12 December 1997 with the 6Z25 March to Calvert spoil train. 58008 was withdrawn two years later after a scandalously short working life of just sixteen years. This location certainly has an unusual combination of an operational freight line passing through the centre of a preservation centre!